A Test Does Not an Arsenal Make: Several important details remain unclear regarding North Korea’s February 12 test, including whether it was a plutonium or enriched uranium device, and whether it would be usable on a nuclear warhead missile, says Stares. "Conducting a successful test is not the same as having a reliable, deployed, operational arsenal," he says. 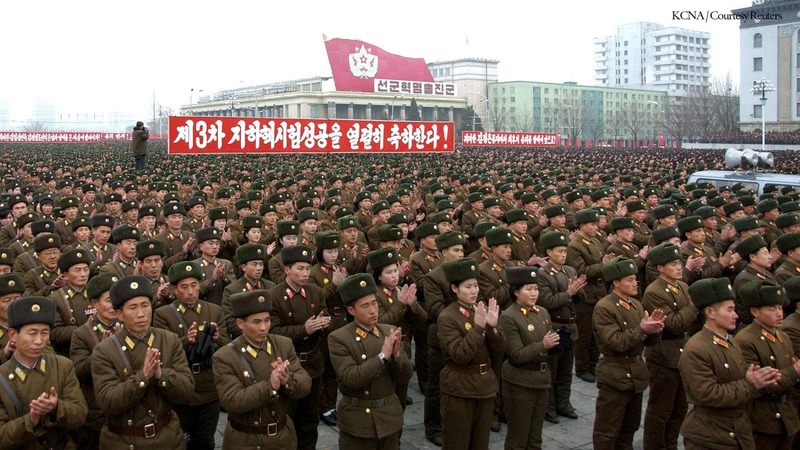 "It is very likely that North Korea is some years away from developing such a capability." The Limits of International Pressure: "There was some hope that the new leader in North Korea, Kim Jung-un, might be willing to bargain away his nuclear weapons, but that now seems very unlikely, and there’s not much, frankly, that we can do about it," Stares says. China remains the only country that may be able to influence North Korea’s decision to maintain its nuclear weapons capability, but it has been reluctant to exert its influence, he says. International Reverberations: North Korea’s nuclear test will likely reverberate well beyond the Korean peninsula, says Stares. While a North Korean nuclear threat may be felt in the United States and Japan, "Iran will be looking very closely at how the international community will respond to this nuclear test," he says. North Korea’s defiance of international pressure over its nuclear program and the international community’s limited recourse may embolden decision makers in Tehran, Stares cautions.